When it comes to musical talent some children require more advanced instruments. 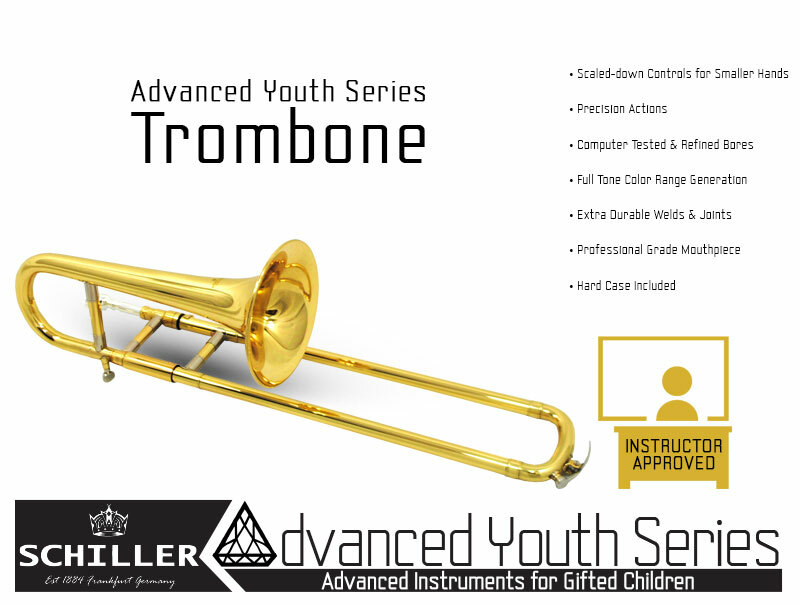 Schiller has created a line of band instruments that are built around the the needs of the youth player without sacrificing quality within the sound or action. This is more than simply shrinking an instrument down to a size that is easy for small hands to manipulate. Our process starts with painstakingly breaking down the instrument and taking precision measurements of each piece. This data is then fed into a Computer Assisted Drawing program. The CAD program is able to scale most parts down to reproducible sizes. A prototype is then built and the real testing begins. Schiller engineers then use tone producing robotics to test and record what areas of the instrument can be scaled without loss of air flow and which areas need to be adjusted. Only after this lengthy process is complete do we certify the instrument as Advanced Youth Series. Gifted youth players shouldn’t have to compensate for instruments that boarder on novelty items or are too cumbersome for them to handle.